← Photo(s) of the Week: The Georgia Small Town Open Road. 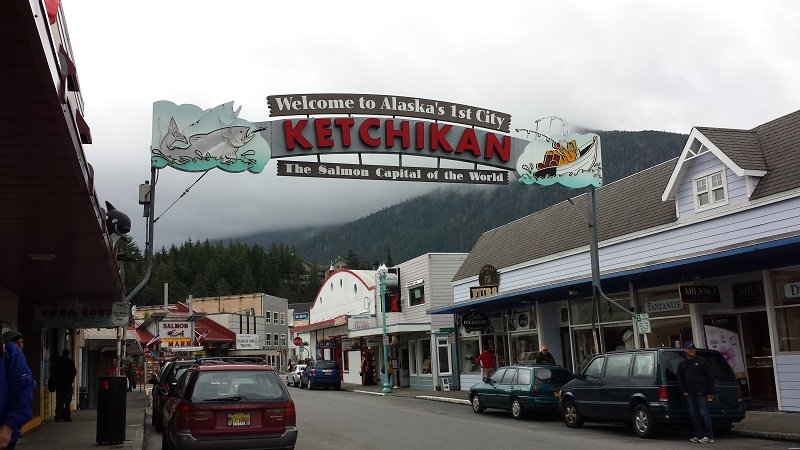 Photo of the Week: Welcome to Ketchikan, Alaska. Ketchikan is known for tourism and fishing. Hello to the “Salmon Capital of the World”! This entry was posted in Alaska, cruise, travel and tagged Alaska, Alaskan cruise, cruise, Inside Passage, Ketchikan. Bookmark the permalink. I have that same pic! lol I loved Alaska. Enjoy! Haha. Alaska is as beautiful as everyone said. So peaceful! I love this place! So cute! You have to love a city where there are pine trees and mountains visible from downtown. Looks awesome.